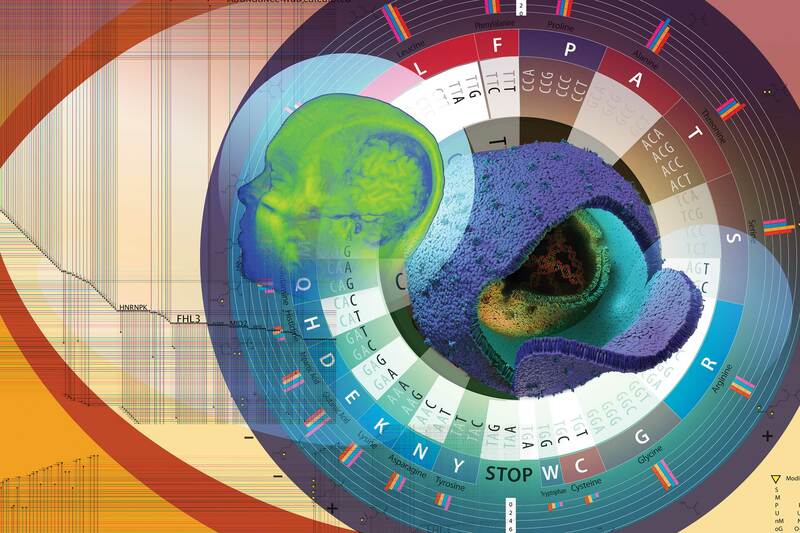 We are delighted to announce VIZBI 2014, the 2nd EMBO Conference on ‘Visualizing Biological Data’, which will also be the 5th international meeting on this topic, to be held March 5-7 at the EMBL, Heidelberg (Germany). VIZBI 2014 brings together scientists actively using or developing computational visualization methods to study a diverse range of biological data; the conference also encourages participation from medical illustrators, graphic designers, and graphic artists. VIZBI 2014 features 21 invited talks from high-profile speakers that will review the state-of-the-art and challenges in visualizing data from genomes, transcripts, proteins, cell biology, organisms, and populations. All VIZBI participants have the opportunity to present a poster and lightning talk describing their work. If you cannot join us in Heidelberg, Germany, you have the option of virtual registration, which allows participation via streaming video and chat. For students, a limited number of CPP fellowships are available, which provide registration fee waiver and/or a travel grant for up to €400. Fellowship applications close 9 December 2013. Prior to the meeting (March 4), there will also be half-day tutorials on visualization tools & methods. If you are interested in running a tutorial, you are invited to submit a tutorial proposal. The deadline for proposals is 1 November 2013. If you are interested in promoting your organization or professional society, a range of sponsorship options are also available. The first four VIZBI meetings have been very lively events, and helped fostered a new focus on data visualization in the life sciences; VIZBI 2014 will have a special focus on new and rapidly emerging research methods – we hope you can join us for this exciting event! 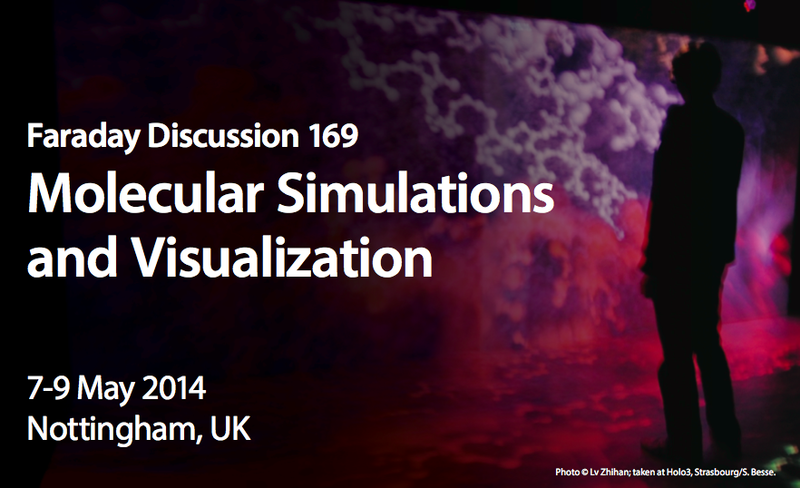 The Royal Society for Chemistry have announced a Faraday Discussion on ‘Molecular Simulations & Visualizations‘, to be held 7-9 May 2014 in Nottingham, UK. The discussion will focus on the use of advanced visualization (visual analytics, virtual and augmented reality, immersive graphics, GP-GPUs, cloud computing) to analyse molecular simulations across a range of applications in biology, chemistry, and materials science. They have issued a call for participation inviting submissions of original research papers for oral presentation, as well as posters. To be selected for an oral presentation, you need to submit an abstract describing your work by Monday, 22 July 2013.